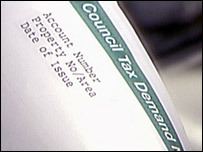 Council tax bills in the Highlands could rise by 2.5% next year. The authority is considering a revenue budget of £509m assuming there is an increase of £28 - which would mean an annual payment of £1,163 at Band D.
Officials planning the new budget have warned that it still may not be enough to cover the costs of an emergency situation in the region. The authority is early with its budgeting process this year to avoid last-minute panic. A budget of £509m has also been worked out on the basis of £14m-worth of savings across all services. The Scottish Executive made it known three years ago how much its grant aid would increase. However, the council has made a case for an additional £12m in assistance to meet the extra cost of delivering services in such a widely-scattered and sparsely populated area.